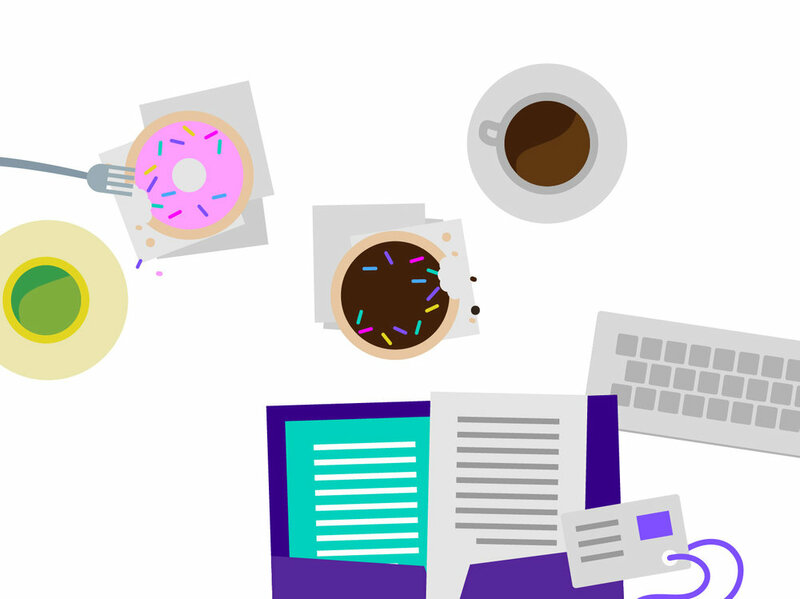 Donut is a slack-based AI software tool that helps its clients to get to know their team and company better. After gaining traction with a bootstrapped logo, name and website that they used throughout their first year in existence, the Donut team needed to build a stronger brand as it began scaling up and engaging with an increasing number of companies and their employees. StudioRd partnered closely with the Donut team to assist in refining and extending the brand while still retaining it's quirky origins. Following the lead of the original logomark, we created a voice and visual language rooted in playfulness and authenticity. Vibrant colors and jovial illustrations combined with the softness of the Bariol type family help to imbue a sense of carefree inclusiveness. The logotype was created with the intention of both expressing the brand's unique point of view and also positioning it appropriately against a sea of other technology startups. We then applied the visual system across a slew of touchpoints, including a new website, pitch decks, conference materials, collateral and general swag.